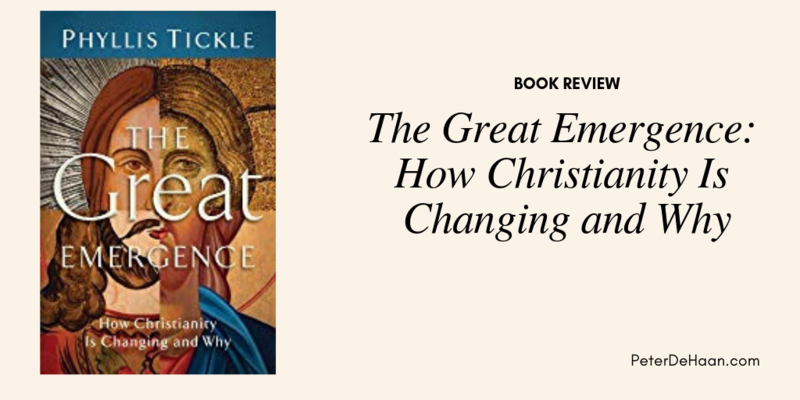 The subtitle to The Great Emergence provides a concise summary of this book’s content: “How Christianity is Changing and Why.” To respond to this statement, Tickle first explains what emergence is, then how we arrived at this point, and concludes with where it is going. Along the way, Tickle provides a succinct and insightful history lesson of Christianity, complete with Protestantism and Catholicism (Western Christianity) Eastern (Greek) Orthodoxy, and Oriental Orthodoxy. She notes 500 year cycles at which point major changes, or “Great Transformations,” occur. We are currently at that point of great transformation. She introduces the “The Quadrilateral,” a matrix that effectively portrays the distinctions within North American Christianity. As readers progress through the book, the diagram morphs as additional detail is added and future trends are projected. This aptly serves to provide a clear graphical summary of the text’s detailed explanations. This book offers a cogent summary the emergent and emerging church, as well as offering a clear and compelling glimpse into the future. Interesting. We feel so unique, but when we study history we find that we are not.